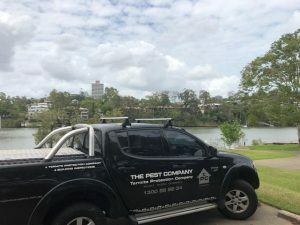 Servicing Brisbane residential and commercial properties for Brisbane Termite Protection is a daily event that brings about a sense of achievement. Protecting Brisbane properties is an awesome way to tackle the daily challenges we all face when protecting homes from Termites. Brisbane is an amazing city where we get to inspect and protect new properties and old homes built in the early to mid 1900’s. The old Queensland homes (Queenslander) is normally built with brick, timber or concrete piers where the home is erected well above ground level on bearers and joists. The main concern facing this type of structure is lack of awareness where homeowners are unaware of the speed termites track up piers normally under the house and into the home.